To ensure the best quality trees, all Ukulinga seed stock comes from superior trees within our own orchards. All scion wood is obtained from our GWK-icons 2015 & 2016 award winning orchard. Budding is done in situ on suitable rootstock seedlings after 15 months’ growth. 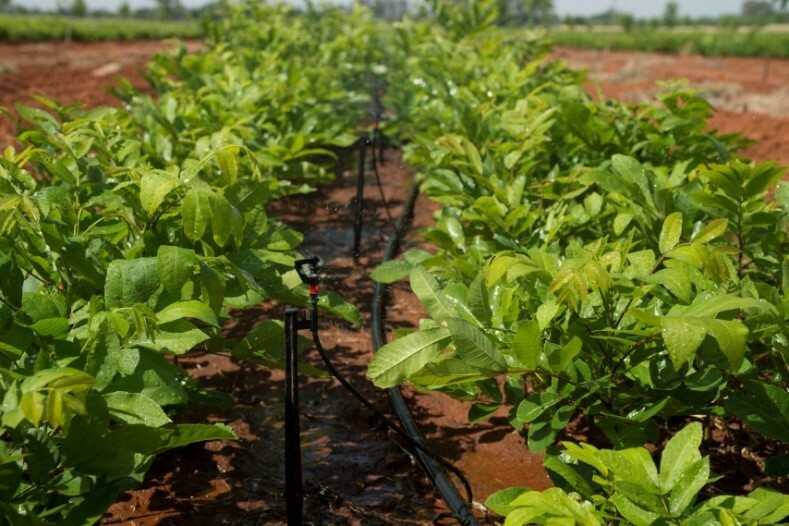 We produce a wide variety of pecan cultivars suitable for planting in the western part of the country: Choctaw, Wichita, Navaho, Pawnee and Western Schley. Harvesting of nursery trees is done during winter dormancy with as little trauma to the roots as possible. All budded trees are 3-years old upon harvesting, true to type and marked according to SAPPA colour codes. Trees are also marked white at ground level to ease the transplanting process. After take-out; the roots are cut back according to SAPPA specifications and treated with a special mixture of fungicides and moisture-holding gel. Trees are grouped according to cultivar and size. The trees are made up in labelled bundles of 10 and stored moist under cover, ready for collection. We take great care in preparing and packing your order. ONLY high quality trees are sold – no mixing in of poor quality trees that do not adhere to our standards. Delivery is excluded. Trees will be available for collection around middle July until the end of August. It is important that all land preparations have been done prior to tree collection. Contact us in advance for information regarding cultivar selection, soil preparation, orchard layout, tree density, irrigation systems, transplanting procedures and the management of young trees.